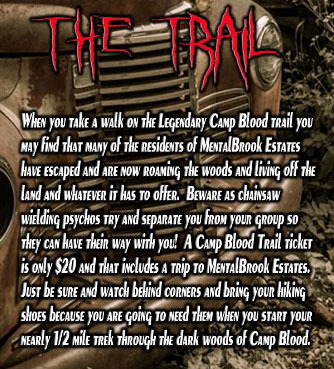 Camp Blood is nearly a 1/2 mile trail of terror through the sometimes silent, yet deadly pine forest! 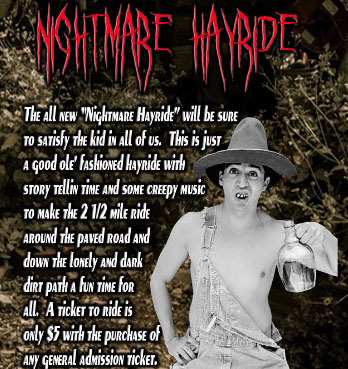 Also be sure to see our Zombie Shootin' Paintball and Nightmare Hayride. 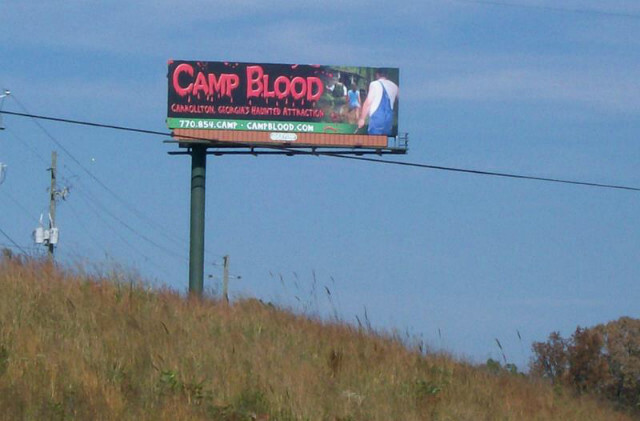 Camp Blood is nearly a 1/2 mile trail of terror through the sometimes silent, yet deadly pine forest! Watch out as chainsaw wielding psychos try and separate you from your group so they can have their way with you. 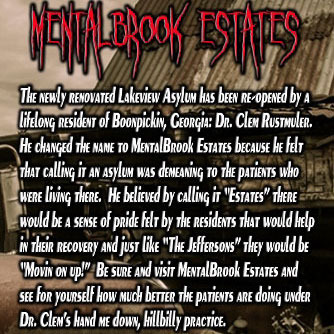 Also be sure to see our Zombie Shootin' Paintball and Nightmare Hayride. 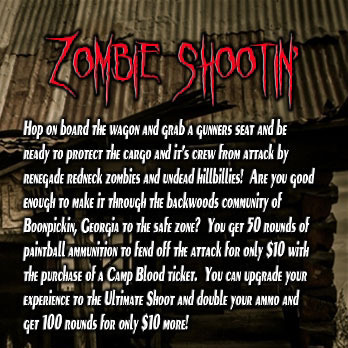 Zombie Paintball Shoot - $20 for Regular shoot w/50 Paintballs. $25 for Intense shoot w/75 Paintballs. 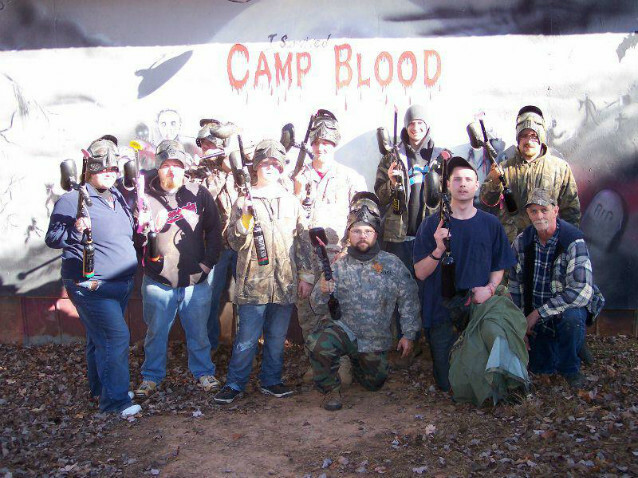 $30 for Extreme shoot w/100 Paintballs. $2 parking fee per car not included in ticket price.